It can be very difficult to undertake an accurate and faithful restoration if original components are missing, or the information required to reproduce them unknown. One such challenge has been to identify the type of door latches once fitted to Met353. As none of the originals survived it was most fortuitous to recently find a complete door from another early Metropolitan Railway carriage, Met212 built by Ashbury in 1881. This has been kindly loaned to the project team by the Quainton Railway Society (QRS) and the detailed information gained from inspecting this example is proving invaluable to the build. After some careful cleaning and dismantling, it quickly became apparent the lock mechanism was designed by Edwin Robert Wethered, an inventor once based in Woolwich, London. It closely matches his patent: 407,268 submitted in 1889. Notes: Met212 was one of the last 8-wheeled stock carriages to be operated by the Metropolitan Railway. It was later modified for use as a sleet clearing vehicle and survived into London Passenger Transport Board (LPTB) ownership in 1933. Once withdrawn from railway use, the carriage body was grounded next to staff allotments alongside Aylesbury train station. 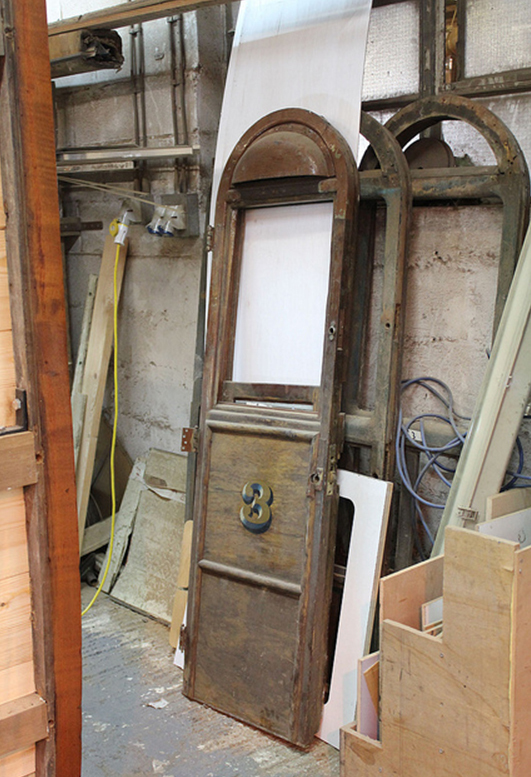 A door was rescued by QRS before the carriage was finally broken up in 1967.